I did it. With four minutes to spare. I did it. I applied for the 2017 Tcs New York City Marathon lottery. I ran it last year and it was the best experience of my life. I said it would be years before I ran it again. I said it was too expensive. I said I couldn't take the time off work. I couldn't ruin my first time experience by running it again too quickly. Bottom Line. It was the BEST race experience of my life and there was NO WAY that I could not at least try to run it again. I even told random strangers about it tonight. It's been on my brain all day....when things are in my brain like that, there's a reason why and I just gotta go with it. Heck, one of the strangers applied while i was talking to him and telling him about my race experience. I was like......whattttt?!! No way I could not enter the lottery. If I don't get picked, that's ok. But at least I tried. And if I do, Merry Early Christmas to me!!! 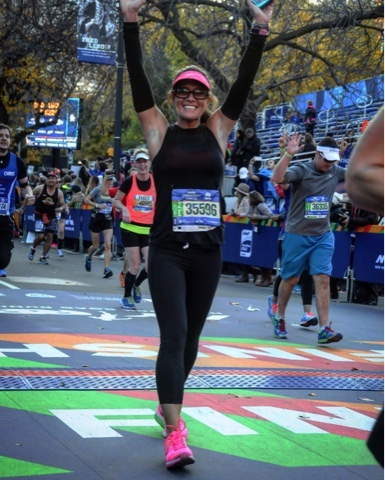 Today was a great day for me to re-live my #tcsnycmarathon experience all over again.